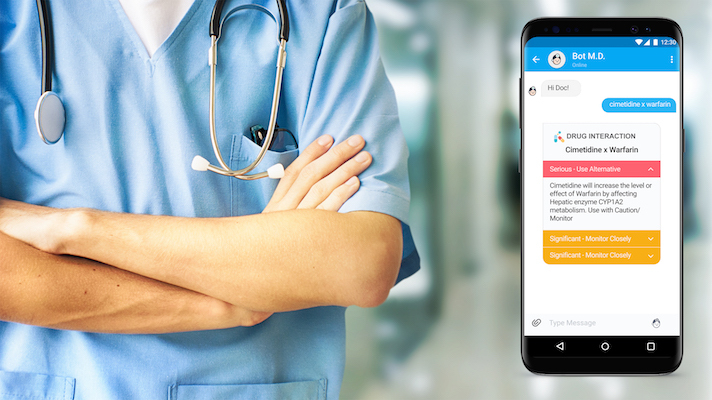 Hey Doctor is an prescription program boasting quick online visits and a text-based provider chat service for consumers. Already holding deals with several care providers and active in 18 states, the app-based service can prescribe treatments and screenings for a number of different conditions and ranging from smoking cessation HIV testing. Higia Technologies is developing a non-invasive wearable that scans the wearer’s breast for thermal pattern abnormalities, which can be an early warning sign of breast cancer. Worn discreetly in a bra, the device communicates with a user app that uses artificial intelligence to make its evaluations and, depending on the results, offers follow-up recommendations for further screening. Papa is a “Grandkids On Demand” platform that connects seniors with vetted college students (Papa Pals) in an attempt to provide in-home assistance, transportation, technology instruction, and loneliness relief. Although it does not offer direct medical services, the $15-per-hour service bills itself as a companionship tool vital for the growing aging-in-place demographic. Penta Medical offers a wearable cold laser therapy system Bluetooth connected to a web data app. Designed for athletes, trainers, and care providers, the product helps track and manage clinical-grade injury data with range of motion measurements the company claims are accurate to a single degree. Scanwell Health is a home UTI testing service. By urinating on the low-cost, mail-order test kit and taking a photo of the results using the Scanwell app, the company is able to connect users to an in-house physician and prescribe any necessary antibiotics within a single day. Along with being the only FDA-cleared home urine testing app available, the service also helps users track their personal UTI history and communicate with a patient community. Togg is bringing health sensors into nursing homes to better monitor aged residents’ sleep, breathing, bathroom visits, and more. The devices are placed on the ceiling of a senior’s room, and according to Wired cost $150 as opposed to the $11,000 they would have run half a decade ago.